Please find a list of featured projects below that you can support through financial contributions or lending your expertise. If you have additional questions, please contact our partner organization directly through their website. 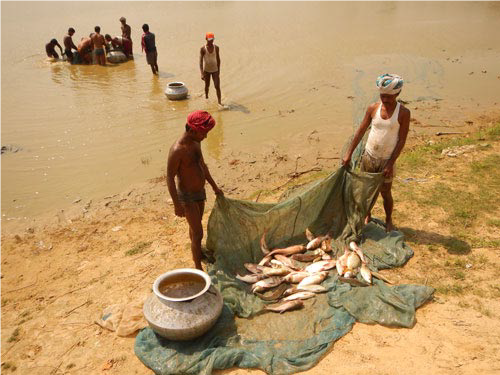 Hoste Hainse recently launched a fish farming project in southern Sarlahi District, a location in Nepal with high incidence of extreme poverty. Fishing is an established practice within the communities that families use to generate income, however capital and technical resources are often lacking. Hoste Hainse tackles this problem by developing fish farms that provide skill development training and income opportunities for community members. In addition, each fish farm should generate $3,000 annually to support 4 local Hoste Hainse schools that offer high quality education to all children at no cost. The first fish farm, piloted in 2017, reached this goal within its first year, even withstanding flooding during an extreme monsoon season. Help Hoste Hainse expand on this success by supporting Fish Farming 2.0!